Pristine beaches. Hidden tropical treasures. Awe-inspiring natural beauty. Mexico is the place to forge unforgettable travel memories at a fraction of the cost of the US. 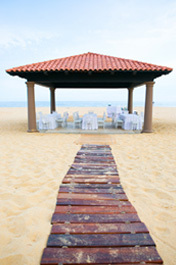 Whether you want to follow in the footsteps of Cortez or follow your own footprints on a private beach, EnjoyMexico.net offers unimaginable luxury in two of the most incredible Mexican vacation destinations, Cabo San Lucas and Punta Mita. You have to see them to believe it. Mexico is well known for cheap tequila, larger-than-life sombrero hats, and all-inclusive resorts catering to thousands of travelers looking to have fun at rock bottom prices. But if you take the time to look closer at our southern neighbor, you’ll discover an enchanting land of vibrant colonial history, warm hospitality, breathtaking natural splendor, and luxury villas that are perfect for a private getaway in paradise. 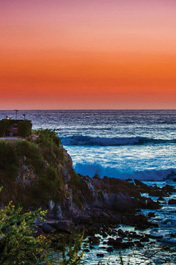 No two locations encapsulate the splendour of Mexico better than Cabo San Lucas and Punta Mita. Together, they represent two opposite extremes complete with everything to fill the spectrum your desires. Although each one is the perfect destination, they each offer something different. Are you the intrepid traveler determined to challenge the toughest terrain? Are you an ocean-goer wanting to spend the day with dolphins and catch wild waves? Are you searching for evenings of relaxation in a one-of-a-kind alternative commune? Are you looking for world famous (infamous?) nightclubs offering the hottest nightlife in Western Hemisphere? Do you want a convenient home base for exploring the heritage of the one of the Old World’s most vast colonial empires? 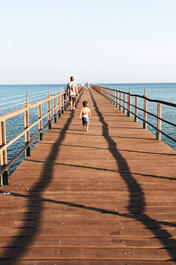 Or do you want to just kick back, relax, and get far away from the worries of home? That’s the beauty of a custom vacation experience with EnjoyMexico.net—whatever your dream vacation is, we can make it come true. What are you waiting for? We are sure you’ve heard of Cancun, Playa Del Carmen, and Cozumel—places that are more infamous rather than world renowned. The public is more familiar with these top Mexico destinations for Spring Break getaways, uninhibited nightlife, and cheap (or so they claim) all-inclusive getaways. But Cabo San Lucas and Punta Mita offer vacation experiences unlike any other location. The combination of weather, luxury, amenities, and pristine nature all within a stone’s throw of awe-inspiring world heritage are unrivaled south of the border. And it all comes without the hoards of unhinged partygoers that your typical package vacation normally boasts. When you stay at a crowded resort, you are getting the same experience that everyone else is getting. Young couples, families, and retirees looking to escape the hustle and bustle of home are now choosing private villas over all-inclusive resorts and luxury hotels. The privacy, flexibility, and opulence of a private home in a bespoke community beckons people from all walks of life to take advantage of this one-of-a-kind experience. Above all, the total control over your own getaway with the help of a luxury vacation experience provider is what drives this new type of vacationer. Being part of the family: Our villas are in established communities where you’ll feel more like a member of the family than a guest at a resort. With the warmth of the locals and members of the community plus the hospitality of our trip experts, you’ll never feel like you don’t belong. Privacy: Calm mornings, a private pool, a jacuzzi all your own, and luxury beachfront access—you can’t get this anywhere else. With the privacy of your own villa, your vacation is truly yours to enjoy, not to share with anyone else. Flexibility: 4 massive bedrooms? One master suite? Detached kitchen or in-home theater? The choice is yours. You can do whatever you want whenever you want, and nobody will be there to bother you. Security: Your villa is yours alone and in an established community with trained security. No more worrying about your belongings or dealing with strangers. In a resort, you don’t know who your neighbors are. Here, there’s nothing to worry about. Unique Experiences: When you stay at a resort, everything has been done before. When you rent a luxury private villa in one of Mexico’s top destinations, you become the architect of your exclusive vacation experience. Escape your villa walls and trek the great outdoors, relax on a private beach, experience the splendour of remote villages, or just watch a movie in the privacy of your bungalow. No need to worry about the rules or wonder if you’re treading on someone else’s toes. And villas are perfect for groups, too. Instead of purchasing a package for everyone in your group, why not pool your resources together and save some money? Splitting a villa in group of 8 or more can provide major savings, especially on food and drinks. As the leading provider of luxury vacation rentals in Mexico, we bring you villa rentals in the top destinations. 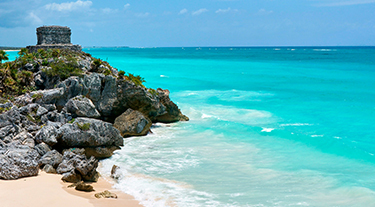 Rather than providing generic services in the most popular locales, we focus solely on private luxury getaways in Mexico’s most incredible locations. When it comes to vacations in this beautiful land, nowhere compares to Los Cabos and Punta Mita. Each caters to a specific clientele but both are enchanting cities complete with the ultimate in luxury, excitement, and fun. Together, they form a complete travel catalog. On one side, the nightlife hotspot famous for its romantic beaches, legendary sport fishing, Hollywood celebrities, and sizzling all-night clubs. On the other, the up and coming oceanside town complete with colonial wonders, breathtaking tropical excursions, and uninhabited islands waiting to be discovered. Each is perfect, but which one is perfect for you? Nestled at the very end of Baja lies Cabo San Lucas. “Land’s End” has long been the top destination for Hollywood legends, A-list celebs, and business elite from around the world. Where else can you enjoy an ice-cold margarita on a world-famous beach, zip line across a rugged canyon, scale a mountain, and still be back in time to party the night away inside Mexico’s most famous (and infamous) dance clubs? As a resort city, Cabo is unrivaled in terms of five-star restaurants, nightlife options, and idyllic beaches hugging the Sea of Cortez. The choices are endless. Relax on a private beachfront or in your bedroom overlooking the sea. Heart-racing action, offroading, climbing, golfing, and dancing await you in Mexico’s top location for an unforgettable getaway.If you’re more of the sporting type, there are literally dozens of private charter boats with experienced crews waiting to take you on the water for some adrenaline-pumping sportfishing. Tuna, marlin, and a host of other big game fish are waiting for you to give them the fight of their life. It isn’t possible to see everything that Cabo has to offer in one trip. You’d have to live here to experience the full wonder of Los Cabos (who knows, after this trip you just might). 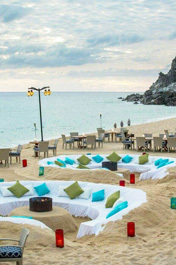 Cabo Tip: Cabo is a busy vacation center, but getting away from the crowd is easy. Renting a private villa gives you the power to mold your own authentic vacation experience. 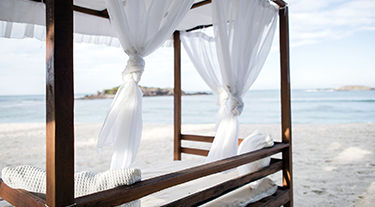 Proudly jutting out from the mainland on Mexico’s famed Pacific Coast, Punta Mita provides everything you could want in a luxury travel destination. 5-star resorts, legendary golf, bespoke private communities, and relaxing ocean waves—this once-quaint fishing village is now the ultimate destination for lavish luxury. proximity to 10 major US airports, Punta Mita is now more accessible ever, and people from all walks of life are starting to take notice. Here, you can explore uninhabited islands while laying on secluded beaches and watching the clear blue sky fade into infinity. 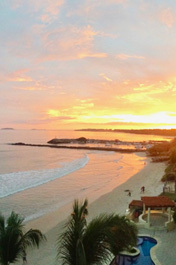 Surrounded on 3 sides by awe-inspiring waters, Punta Mita is home to pristine beaches and breathtaking views. Outside of its luxurious amenities lie a host of aquatic adventures just ready to be had. Gentle sea breezes, calm water, and a year-round warm climate ensure this once-quiet fishing village offers the very best in swimming, diving, surfing, and sailing. What most intrepid travelers love especially dear about this resort town is its proximity to other destinations. You can wake up in the morning and bathe in the glow of the sun through your sea-facing windows, take a trip to the historic Colonial-Era cobblestone streets of Puerto Vallarta, spend an evening dining in the alternative enclave of Sayulita, and still be back in time to enjoy a drink on the beach. It might not be the sultry nightlife destination that Cabo is, but it certainly punches above its weight in terms of natural destinations, exotic excursions, and once-in-a-lifetime natural sights that you can’t find anywhere else in Mexico. And shopaholics will love the high-profile shopping at discount prices. 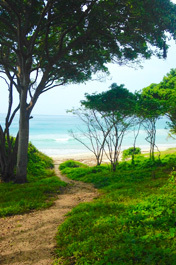 Adventures abound in Punta Mita! Come see it for yourself! 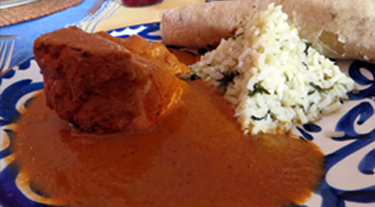 Mexico is a land of enchantment full of natural beauty, endless fun, and culinary experiences unrivaled anywhere on Earth. 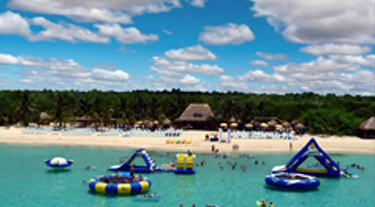 EnjoyMexico.net is a specialized provider of one-of-a-kind travel experiences in Mexico’s most famed destinations. Rather than sell typical, one-size-fits-all packages, we work side by side with our clients to create authentic travel experiences. We are more than a travel agency. We are the makers of unforgettable life experiences. Renting a private villa in the top Mexico destinations for travel allows you to see these destinations in ways you have never imagined. Escape the restraints of a typical tourist resort and let loose in one of the world’s most luxurious, romantic, and exciting destinations. Experience Mexico the way it was meant to be with EnjoyMexico.net. The privacy of your own home, all of the latest amenities, private pools, jacuzzis, BBQs, and home theaters form the backdrop of what will surely be the vacation of a lifetime. Imagine enjoying your morning coffee on a windswept beach, preparing lunch in your state-of-the-art kitchen, and relaxing the night away with friends and family inside a private estate designed and maintained by world-class ownership. 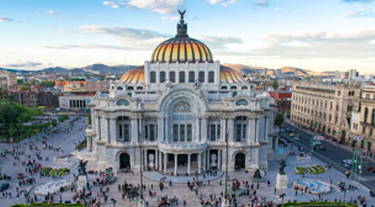 As purveyors of authentic Mexican travel experiences, EnjoyMexico.net’s concierge service is here to help make your entire travel experience seamless and enjoyable. Book your dream vacation today from our web portal and take the first step towards the trip of a lifetime.